Konark: The festivities in Konark kicked off with the grand inauguration of the International Sand Art Festival 2018 set against the pristine Chandrabagha beach as the backdrop. The theme of the International Sand Art Festival is on the Odisha Hockey Men’s World Cup Bhubaneswar 2018 and the participating artists are bringing their interpretation of the same with their sculptures. Meanwhile, the inaugural performances at the 30th Konark Festival, exhibited the best of India’s ancient cultural arts, with the opening performance by renowned Odissi Guru Durga Charan Ranbir and group. Odissi as a classical dance form, while largely performed by danseuses, as per Guru Ranbir, also comprises the Tandava aspect, including items such as Sabda Swara Pata and Sthayee have been specially choreographed keeping the male torso in view. The second dance performance in Bharatanatyam, was led by leading exponent Rama Vaidyanathan. Being a predominantly solo dance, Bharatnatyam leans heavily on the abhinaya or mime aspect of dance – the nritya, where the dancer expresses the sahitya through movement and mime. Shabdam follows the jatiswaram in a Bharatnatyam dance performance. The accompanying song is generally in adoration of the Supreme Being. After the shabdam, the dancer performs the varnam. 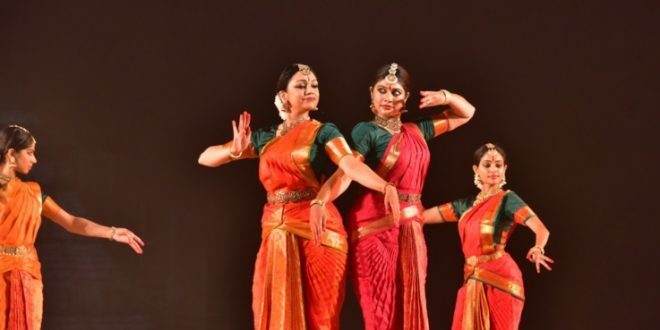 The varnam which is the most important composition of the Bharatnatyam repertoire encompasses both nritta and nritya and epitomises the essence of this classical dance form. The second day at Konark Festival 2018 will witness performances of Kathak by accomplished danseuse Yasmin Singh and group, and of Odissi by exponent Sharmila Biswas and group.